There are ten Feng Shui Energy Boosts, or Ch’i Enhancers, and color is one of my favorites. An art major in college, color has always intrigued me, and I love the way it can transform a space with such minimal effort. Let’s use an experience with my outdoor screened patio, or lanai, in Florida as an example of how color can transform a space. There is one section of the lanai that is under cover. The roof of the house extends over this space keeping it dry and more protected so it can be used like an inside room. When we Snowbirds head north, all of the fabrics and accessories in this area are stowed away so they can stay dry and clean during our absence. So, when I arrived this Fall, it looked bland and uninspiring. Although totally functional, I’m not sure anyone would feel very drawn to spend much time there given its lackluster appearance. The abundance of brown in the surroundings is a neutral and can certainly be energized in other ways, but a monochromatic palette is not my personal preference so I decided to stick with the Feng Shui Supporting Principle to Live with What You Love. I love color so I chose a full palette of bright hues to enhance the space. Once I started adding layers of color the space transformed. First, several royal blue pillows were chosen as solid pops of color. Two stunning bird pillows I couldn’t resist while on holiday in New Zealand adorn the chairs at the two ends of the table. A colorful outdoor tablecloth with highlights of the shades in the pillows came next. Additional blues in the glass candlesticks and garden stool end table continued the theme. When originally designing this space I had been perplexed by the physical restrictions it presented. There was a wonderful solid blank wall just asking for some type of artwork. Although the space is covered by the roof of the house it is still very much outdoors. Humidity and sunlight were factors to consider as well as security. 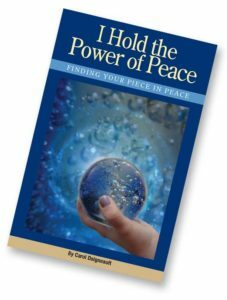 A solution came to me during our travels. My New Zealand bird theme continued when I fell in love with a series of graphic tea towels I spied in the same craft gallery as the pillows. They seemed more like art to me than something to hang on a hook in the kitchen! A long metal dowel became a hanger and their vivid color and bold images immediately added vibrant, auspicious Ch’i energy to the space. It was an easy and effective solution and hardly took up any space in our suitcase! Another bonus of using my bird souvenirs is that this space is in my Fame gua. 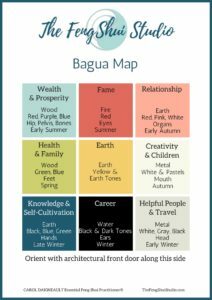 When you refer to the Feng Shui Bagua Map, the Fame gua is in the back Center section of the Bagua. Our reputation garnered through our career and public life is represented here but also the more sedate cultivation of a good reputation through giving and receiving support and the expression and use of your natural talents and skills as well. As with any Bagua area (or gua), Feng Shui asks us to acknowledge and encourage the meaning of the gua by including a specific Bagua Enhancement that represents the fundamental energy held there. The Fame area holds the Fire element which is represented by stars, suns, cones, people, animals and birds as well as red tones such as orange, coral and purple. I was thrilled that my bird towels became a Bagua enhancement as well as a Color Energy Boost. 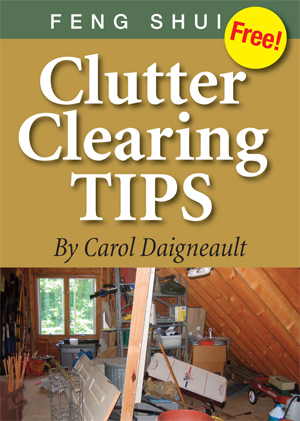 When we give it a little thought, an item we add to our space can serve several Feng Shui goals at once. You can practice Feng Shui in your home by adding an Energy Boost with Living Things or Color. Find a spot that seems uninspired or dull. What color would coordinate there? Before running to the store, find something in your home that is close to that color and try it out. If I don’t know exactly what I want, it’s easy to experiment with what I have. A cloth napkin, towel or even a piece of wrapping paper or clothing in the color I’m contemplating placed in the spot being considered can quickly tell me whether I’m on the right track. 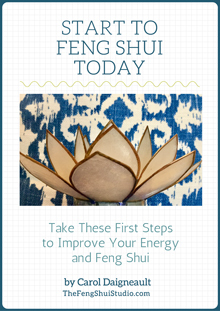 You can create your own peaceful, beautiful Feng Shui Home using a Color Energy Boost. I’d love to hear about your color enhancements. How perfect that you chose a fantail, these beautiful little birds are a delight, and bring energy and joy. They can also bring messages to people of a loved ones passing. Thanks for the animal medicine information Kaye. Do you live in New Zealand or a place that has Fantails?